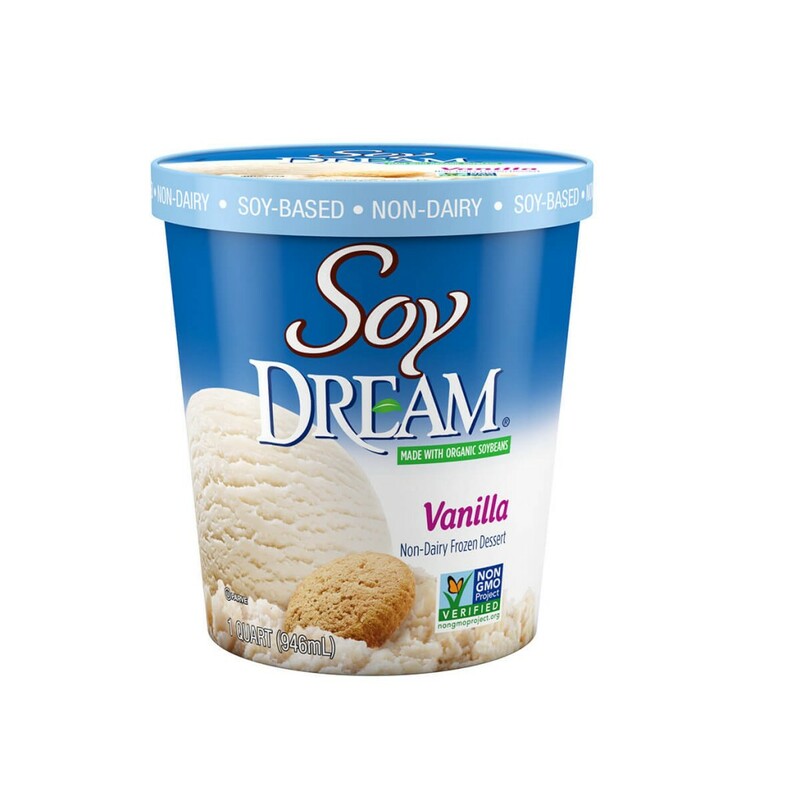 Soy DREAM™ Vanilla Non-Dairy Frozen Dessert matches creamy Soy DREAM with sweet vanilla flavor. It’s a heavenly plant-based alternative to ice cream with the benefits of soy. Want to learn more about the benefits of Soy DREAM™ and our other products? 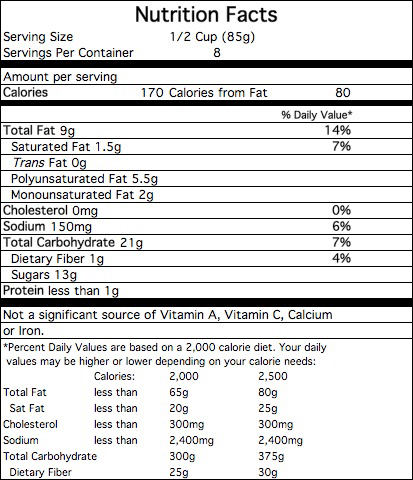 FILTERED WATER, ORGANIC SOY BASE (ORGANIC EVAPORATED CANE SYRUP, ORGANIC RICE DEXTRIN, ORGANIC SOYMILK [SOYBEANS], ORGANIC VANILLA EXTRACT, SEA SALT, NATURAL FLAVOR), ORGANIC EXPELLER PRESSED SUNFLOWER OIL AND/OR CANOLA OIL AND/OR SAFFLOWER OIL, CONTAINS 2% OR LESS OF POTATO STARCH, GUAR GUM, CAROB BEAN GUM, CARRAGEENAN, SUNFLOWER LECITHIN. Manufactured in a plant that uses peanuts, milk, eggs, wheat and tree nuts.